So pretty… so, so very pretty. I’ll admit that Laura Mercier is a brand that I’ve never gotten into before now. I’m always drawn to the sleek packaging and impeccably made up SAs but the line confuses me a little. It’s all those powders I think… I once asked about the Secret Brightening Powder and left the counter with the impression that I needed to buy about 7 other products before the Secret Brightening Powder would be able to do it’s intended task. So now, for the sake of my tiny brain… I ignore that whole “secret” part of the counter whenever I stop by for a look. I’m probably missing out on something great… but don’t tell me that. So anyway, I hadn’t even noticed these cute little tubes before… but last time I was browsing my eyes alighted on them straightaway! 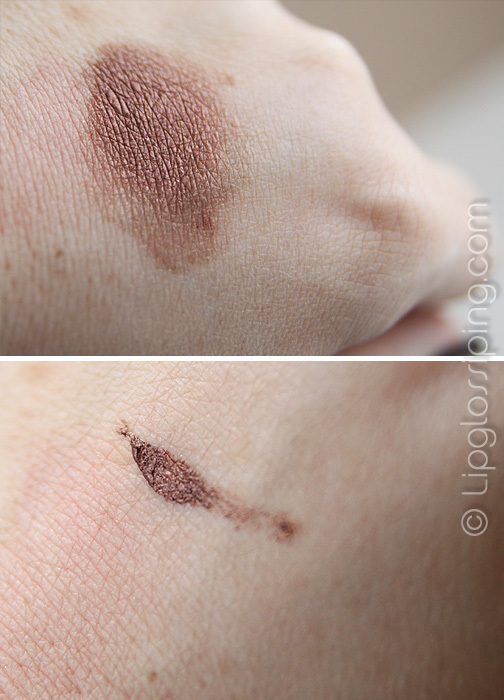 I already have a particular fondness for creme eyeshadow formulations and was eager to swatch them all. I was terribly torn between this one (Burnished Copper) and Alloy (Cool Taupe). I went with Burnished Copper in the end because I knew it would really pull the green in my eyes to the forefront and just seemed more Christmassy (only 10 weeks away – don’t hate me). 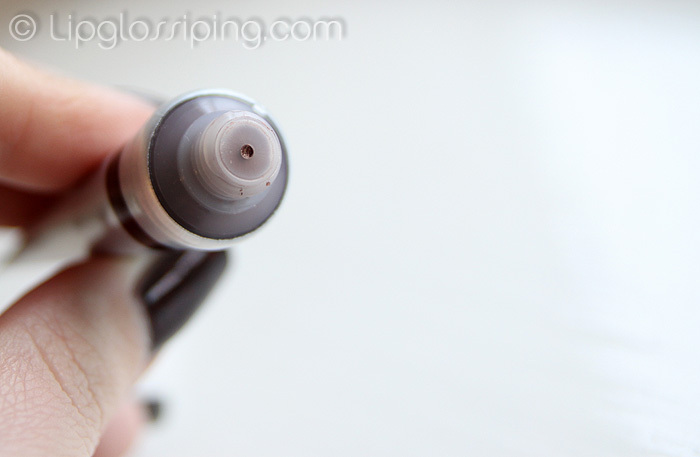 You can either squeeze a small amount of product onto your finger tip and apply like that for a sheerer finish or use a brush to build up the colour intensity. I would recommend using a primer underneath if you have oily lids… longevity lies somewhere between NARS cream shadows (i.e. none) and Benefit’s Creaseless Creams (good). With a primer, they last a whole lot longer on me. Ain’t it purdy though? Metallic but more of a metallic sheen than robot wars. At £18 each, they ain’t much of a bargain… but I am such a sucker for beautiful shades. 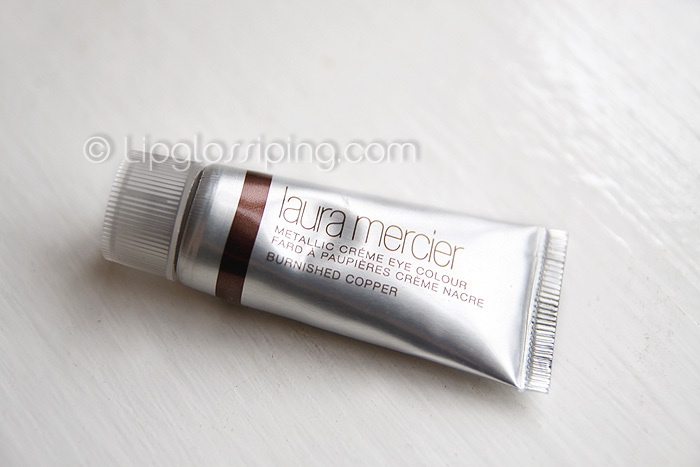 Have you tried the Laura Mercier Metallic Creme Eye Colours?